Replacement:RTL-11682. 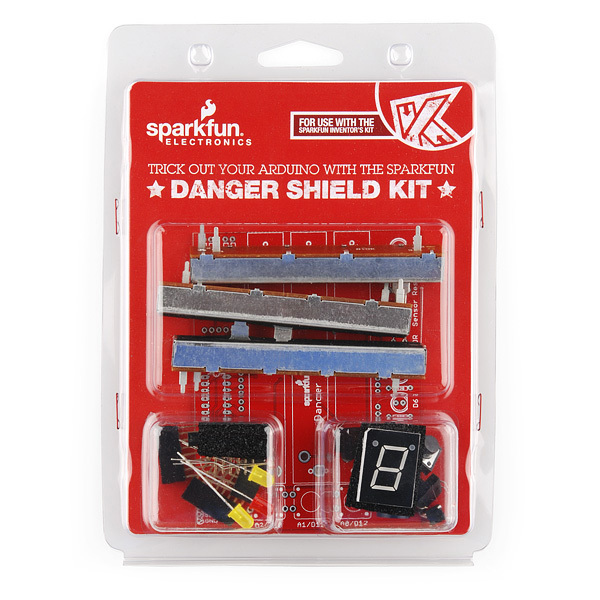 We've changed the temperature sensor in this Danger Shield and updated a few extra parts. This page is for reference only. 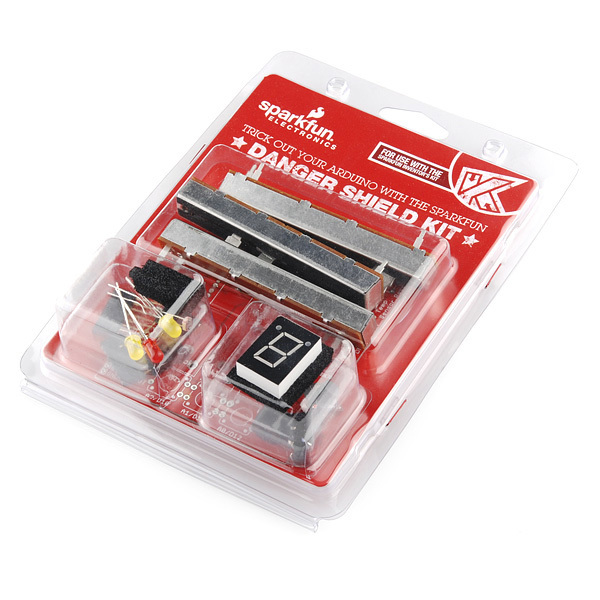 This is the same product as the Danger Shield. The difference is this version comes in fancy clamshell packaging meant for our distributors that need it. Regular customers are welcome to order, but we want to limit the amount of extra packaging finding its way into the trash heap. i am having issues with my temp sensor. it appears to be reading values in the 550 range and values decrease with an increase in temperature. do i have a bad sensor, bad coupled resistor, or have i switched polarity when installing? Does this shield work with the Uno? Yes. 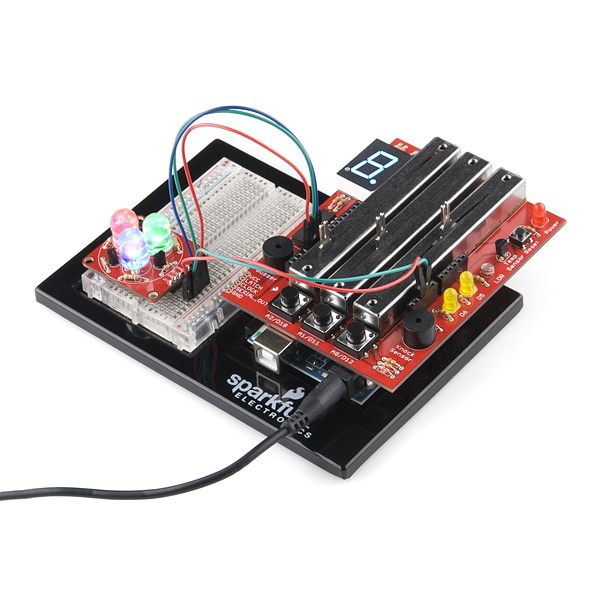 The Uno works the same as the previous Arduino boards, it just loads code a bit differently. The R3 has extra pins, but is still compatible with all the old shields as well. You will be fine with the Uno or R3. do you guys have an assembly guide 4 this? 1. 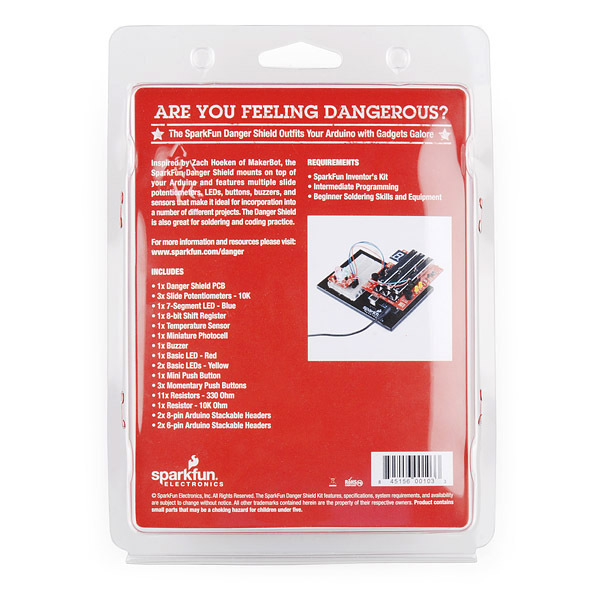 The link "www.sparkfun.com/danger" listed on the package for more information and resources is a "404" dead link. 2. There is no mention of the "Cap Sense" on the lower right side of the board. Out of curiosity, are the parts touching the board in the package, or is there some sort of clear separation between the two?